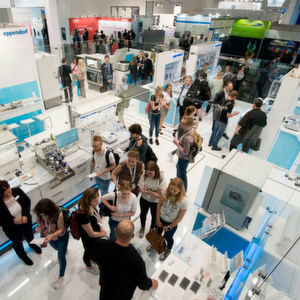 The upcoming Labvolution (21 to 23 May 2019 in Hannover, Germany) will be launching a number of new formats for users and interested visitors from the laboratory industry. Highlights include the enhanced smart lab, which develops a vision of the intelligent laboratory for the future. 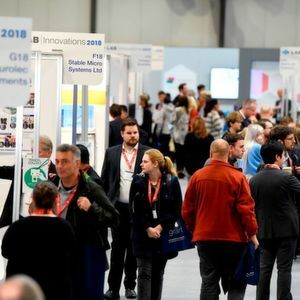 Hannover/Germany — The digital transformation will figure prominently at the upcoming Labvolution, which features the lead theme "The Integrated Lab". 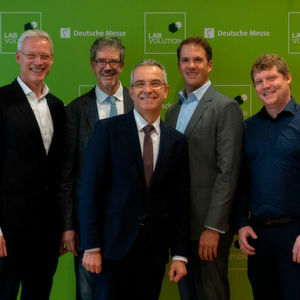 Dr. Andreas Gruchow, member of the Managing Board at Deutsche Messe, says that users from key sectors of the lab industry could find the solutions they need in order to tool up their laboratories for competition in the digital age. The opportunities opened up by digitization are still far from being embraced by the entire lab sector, and the interdisciplinary event offers everything of relevance to integration and Lab 4.0, e.g. lab workflows, big data in bioanalytics, common standards and security. The most important user industries represented at the trade fair are the chemical and pharmaceutical sectors, the life sciences, biotechnology, the environmental, food and medical industries plus research and development. The topic of biologization will also feature prominently at the show. "The biologization of business, the bioeconomy and medical technology is here", proclaims Dr. Peter Quick, board member of the German Diagnostics Industry Association (VDGH) and Chairman of the Life Science Research Department at the VDGH. Advances in knowledge in the life sciences were increasingly shaping political and business processes. Biologization was a significant driving force for progress, and holds enormous potential for Germany as a business location, he argues. In terms of market volume, in 2017 for the first time ever, the life science research (LSR) sector in Germany caught up with the diagnostics industry, with both industries generating a turnover of $ 2.5 billion. The dynamic progress in life science research made by pioneering technologies in 2017 led to 4.9 % growth in the LSR market, which currently consists of more than 200 companies. In the first half of 2018, the LSR market experienced even more dynamic growth of 7.8 %. The driving force behind this development, which can be seen both in Germany and on the global market, is primarily in equipment and related services. Both sectors are dominated by small and medium-sized companies and are characterized by high-intensity R&D. On average, around 11 % of these companies' turnover is reinvested in R&D and LSR, focusing on key areas such as gene editing (CRISPR), NGS, immune, gene and cell therapy, life cell imaging, in vitro systems from 3D cell cultures to organoids, and interfaces to biopharmaceutical manufacturing. Companion diagnostics, which is used in personalized medicine to complement targeted drug therapies, remains one of the most important bridges between the diagnostics and life science research industries. Smart Lab makes a contribution to the topic of networking. A total of 14 partners from research and industry will go one step further in developing the intelligent lab of the future, now back at the fair for the third time. From augmented reality functions and the new generation of virtual reality glasses to innovative interaction media and the use of a drone, Smart Lab will explore the technological possibilities and at the same time, as a fully functioning laboratory of the future, fulfil its mission of encouraging trade visitors to think ahead. The overarching motto is "working decentrally — remaining globally connected". In addition to the established formats such as the Bitechnika Forum there will also be a number of new features at the trade fair in 2019. The previous Lab User Forum will be expanded into the Lab User Dialogue — with product presentations, high-quality workshops and a panel discussion. Two new conferences, held in partnership with the Berlin-based Gläsernes Labor Akademie (Life Science Learning Lab Academy), are being added. The first conference offers certified training to technical employees from the laboratory, while the second is aimed at young life scientists and focuses on career guidance. A science symposium addressing current topics in molecular life sciences will be a further highlight. Another new addition is the Labvolution Award. This award, which is being given for the first time, is for successful advances in lab technology and is therefore specifically aimed at users, i.e. at laboratories, research groups and individuals. The prize will be awarded for solutions that improve everyday lab work. The important common denominator here is that the winning solutions have proven sustainably successful in real-world applications. The award will be presented at the Smart Lab stand on the first day of the trade fair. Finally, a joint display stand for laboratory information and management systems (Lims), a sponsored stand for start-ups and a variety of job and career-related services are also on the agenda.